While my husband is 'working' in Hawaii this week, I dream of being at the beach. 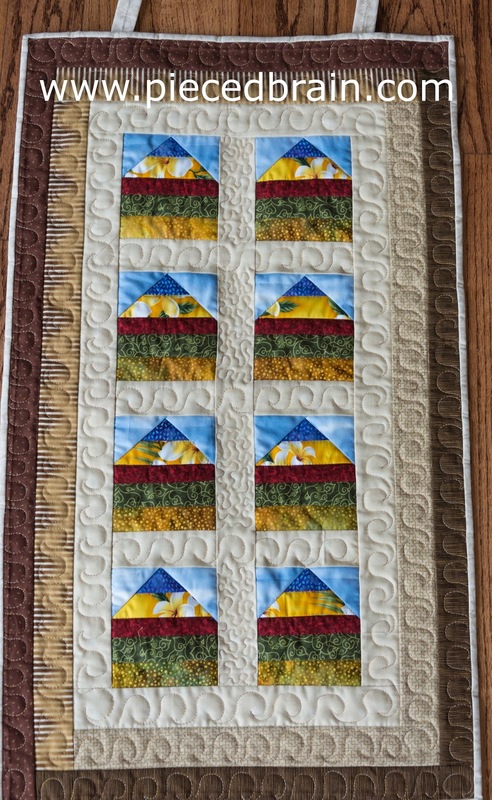 More than dreaming, I made this wall hanging entirely with strips from my scrap drawer, keeping in line with the Strip-easy Quilt Challenge which is coming up at this blog on May 26. It measures 32" x 18.5", pieced using Aurifil threads as always, quilted using matching variegated thread. How do you like it? 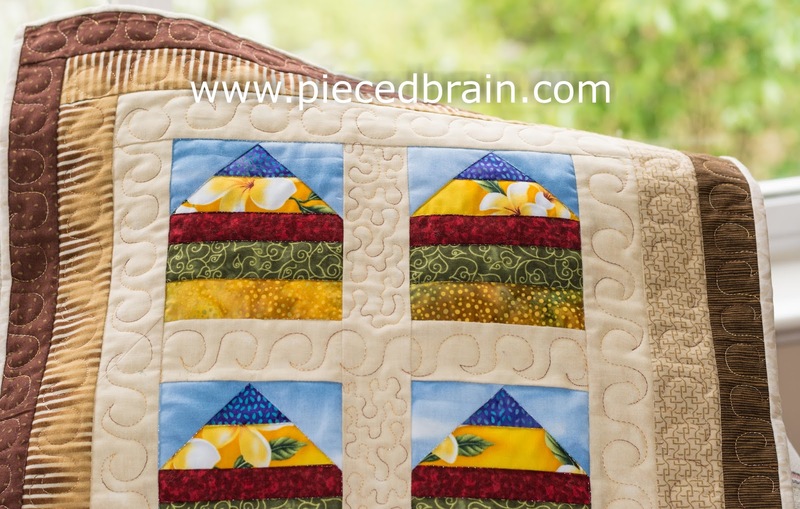 Have you thought about what to do with all the already cut strips you have in your stash? I will keep coming up with ideas and posting them until the 26th, when we will have our linky party here. 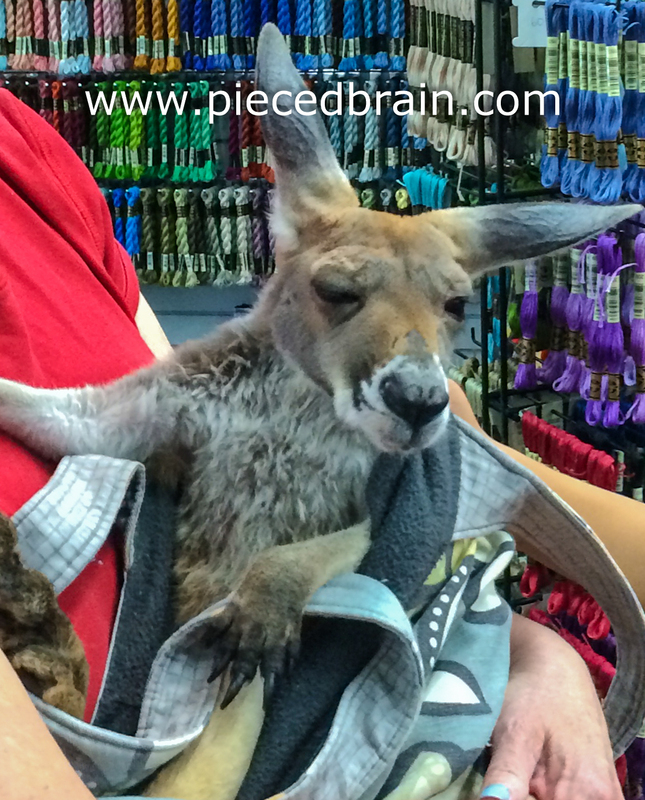 How on earth did a joey get to Utah??!! Cute use of scraps.